It's Friday payday! At long last payday na, hehe... I am always looking forward to our 30th/31st salary. Mas maluwag kasi kami with expenses during the end of month. Almost all of our bills payment due falls before, on or just after the 15th. However, it maybe weird but this time I am not excited with what are we going to purchase. Surely we will go the grocery or market to buy our basic needs. 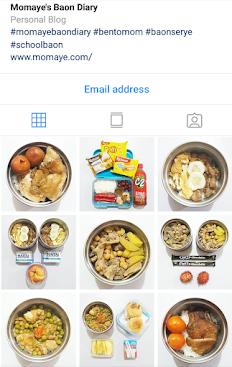 Usually, we go to the grocery on the 4th day of the month because by that day, Daddy Allan's credit card has a billing statement na. As much as possible, we buy all the things, food and others that we need for the entire month. Then we go to the market once a week to buy fish, meat, vegetables and fruits. In that way, we can get rid of unplanned purchase. Before anything else, let me share first my Gluta-C collection. Hello everyone! I have been so busy with my work that's why I am missing for awhile. This is something I missed for the longest time and surprisingly, I love it. I have this brand new feeling that I am back at my track again to lead my group. For the longest time, I feel my work is not helping me to improve and I no longer feel fulfillment. Maybe because my mind set is with becoming a work at home mom. Now, I gave myself a chance to love my work again. So please bear with me, okay? Moving forward... Being a working mom/wife is never easy, much more that I am also into crafts, crocheting and blogging. Sometimes I am surprise how can I manage my time to do all my duties. If there's one tip I can give is that leave your work at your work place. I do not bring work at home and I don't render overtime unless urgently needed. I go straight to our home after work, unless we need to go to the grocery or market. I am not saying forget about your social life and me time, which I can say I do not have right. But once in awhile going out with your friends, and or with your husband can be a great rest from all those duties. Hello everyone! Summer is here and I know Moms and Dads are already thinking of fun ways to enjoy the heat. No worries because Mom and Me come up with another family event that you and your kids will surely enjoy. It's the Mom and Me Fun to be Fit event. Happy Monday! I hope you had a wonderful weekend. I got a chance to relax a bit this weekend since we have less orders. But yesterday, we have received many inquiries already so I will be the busy queen bee again, lol! Before anything else, here's our Monday Inspiration to have great start this week. Have a fruitful and joyful week everyone! Stay away from negative vibes, alrighty! Yay! I know we are more than half through February and yet I'm posting my January Gratitude Project only now. But it's better late than never right? 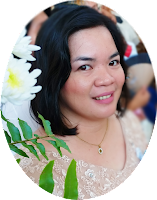 Actually, I got inspired with Kat of The Unstressed when I read her Gratitude Project for 2014. But I think that time it's already half way January so I started the next day which is January 16. I decided to take photos each day that will symbolize what I am thankful for that day. Today let me share how to make a blog header with clickable social media icons just like my new blog header. Hello Momsies! 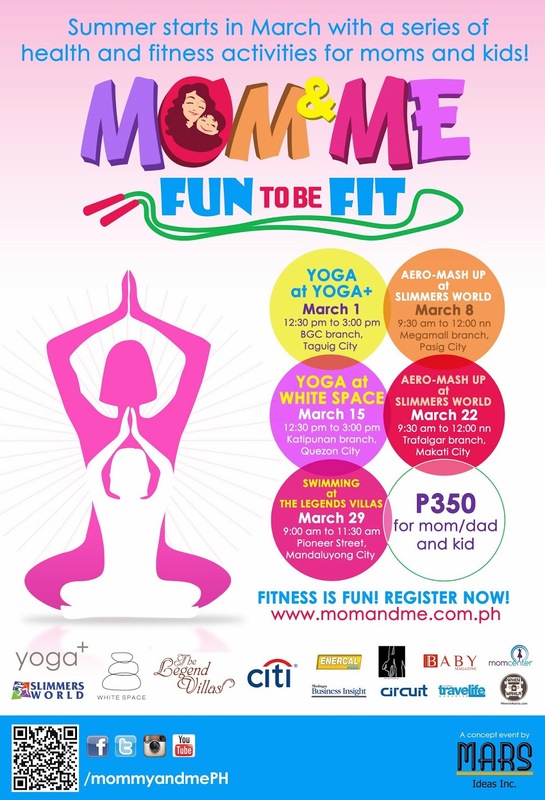 Here's another Mom and Me event that will surely make your summer fun and fit. Hello everyone! Here's an inspirational quote to start up our week. Happy Monday and have a stress-free week ahead! Belated happy Hearts day! Sorry for not greeting you yesterday, busy lang po. Remember what I have write a few days ago? Yesterday was our bestfriend's wedding. So we took a leave and off we went to Antipolo. By the way, we brought Matt with us. Daddy and I were contemplating to bring him because knowing Matt he really can't keep still for a long time. But there's always this guilt that won't let me leave him. Kasi naman this is just one of few days he can go out with us. So tiis ganda na lang ako sa pagpigil sa kanya. Thanks to my mini notebook and Tita Mare's pencil. Hey Thursday na! Parang kaka-Monday lang a. Time please slow down naman... How's your week guys? So far so good or the other way around? Whatever you are into, just be positive and everything will be okay, alrighty? By the way, let me share an update with our homeschooling. 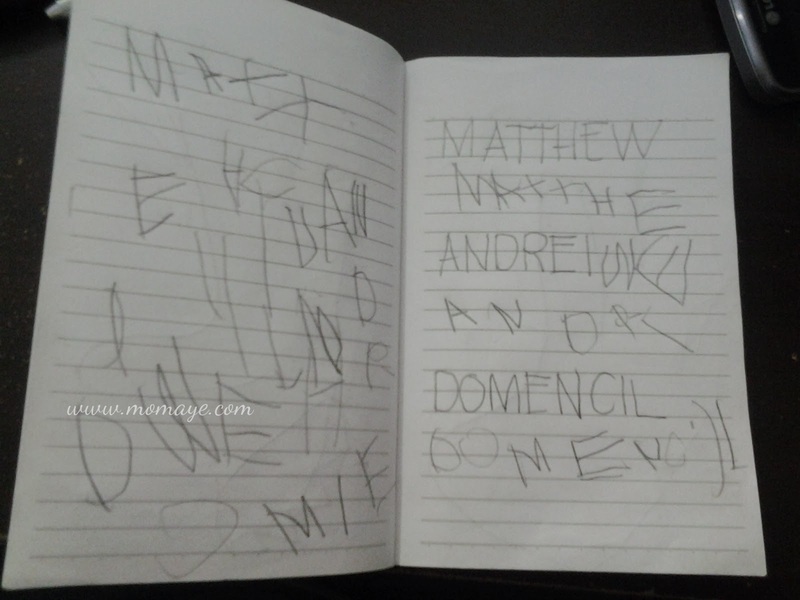 I am so happy to announce that Matt can already write his name. Hi guys! Have you noticed my new blog design? 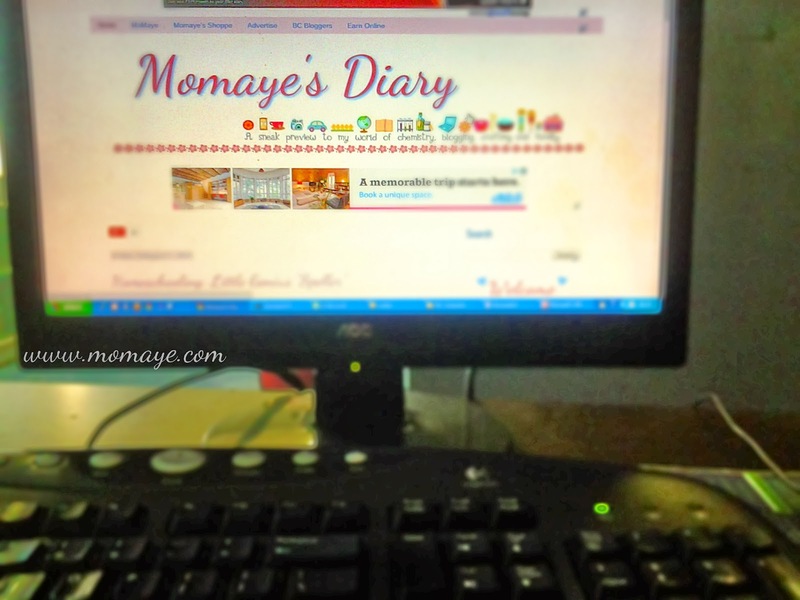 Thinking you are on the wrong blog but no it's still Momaye's Diary. Last Monday, I started to tweak my blog template. Then yesterday, I was able to create a new blog header with social media buttons. Want to know how to create a header with clickable social media buttons? Don't worry I'll post that one of these days. Sorry I know I have so many promises but I'll do my best to make a tutorial about that. The truth is, I'm more excited with tweaking my blog template. Yesterday, I have read about 10 Things that shouldn’t be on your blog. That's why I go through my blog and put out all (well, almost) that are not necessary. I'm also interested with how to make a blog template from scratch but just looking at the xml and html codes, naloka na ako. Hehe... I always want to learn how to design a blog. That's one work I should do when I'm WAHMy already. Wish-a-wish-a-wish-a-wish-wish-wish! Good day everyone! Let's start our work week with this inspirational quote. Happy Monday! Be a blessing and stay blessed! I must admit, I am not with English grammar. In fact, back when I was still in school, the lowest grade I always have was in English. That maybe one of the reasons why I chose a technical/science course. But of course, I can’t escape the English subjects because that’s included in our curriculum. And that technical writing was one of our requirements so we can conduct our thesis. It was really the hardest part of my college life, haha. Hello everyone! It's Friday already. Ang bilis talaga ng araw ano? So how's your week? Busy still? Mine is just the usual week except that I have been such an emotional me =) I will not go into details but it's good that once in awhile I burst into tears and cry my heart out. It's kinda a relief when you have too much to bear. Apparently, my little boy doesn't want to see me crying. The next day he told me, "Mommy wag ka na po iiyak ha?" He's the sweetest I tell you. Aside from that he will kiss, loves and hug me. How? He will kiss me on my lips, loves by kissing me on my cheek and his power hug. Isn't he's so sweet? He will never hesitate to do it over and over again, tirelessly. I love this boy really. Thank God I have him and his Dad who understand me even at my "topak" mode, haha. So that's how I was few days back and now, let me give you a little update about our homeschooling. Friday last week, which was a holiday because of Chinese New Year, we went to mall for no reason, hehe... We just feel we need to go out and have some fun. But no, I remember we promised to buy Matt a car so our first stop was Toy Kingdom. Today, my mother is celebrating her 67th birthday. We will have a little celebration later. 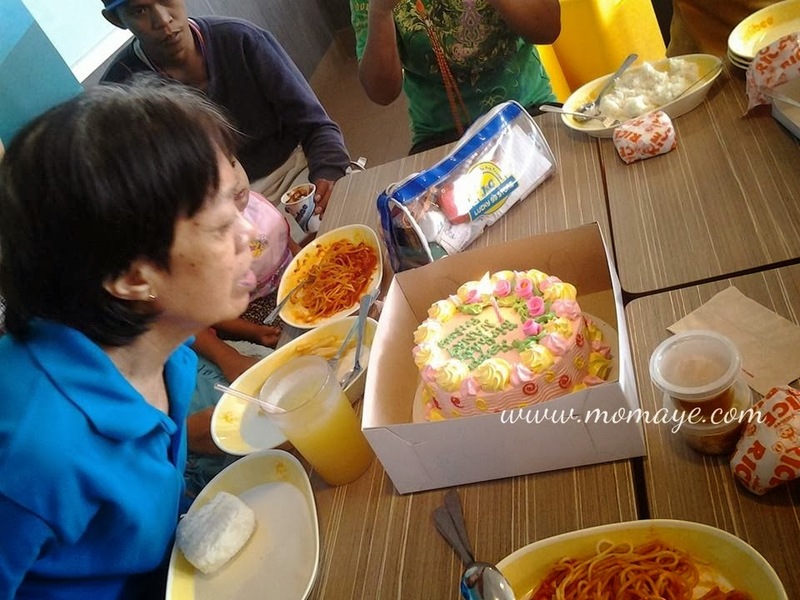 But last Sunday we already had her pre-birthday celebration with my siblings and the kids. Photostory: We love this boy!